On November 12, 2014, the U.S. District Court for the Southern District of Florida signed temporary restraining orders filed by the Federal Trade Commission and the State of Florida to temporarily shut down two “massive telemarketing operations” that allegedly “conned tens of thousands of consumers out of more than $120 million by deceptively marketing computer software and tech support services.” These cases mark the third such action that the FTC has taken in recent years to crack down on computer repair scams. Unfortunately, even as some of the companies are shut down, many others are popping up to take advantage of consumers. Here’s how to spot some common tech support scams. The FTC’s press release can be read here. There’s more. After purchasing the “full” version of the software for $29 to $49, consumers were directed to call a toll-free number to “activate” the software. Upon calling the number, consumers were connected with a high-pressure telemarketing company that would try to sell computer repair services and software by using “deceptive scare tactics.” Those who fell for the scam were duped into paying for unnecessary computer support services. According to the FTC, the telemarketing representatives named in the cases filed in Florida would tell consumers that in order to activate the (bogus) software they just paid for, they must provide the telemarketer with remote access to their computer. The salesperson would then launch into a scripted sales pitch while showing images of standard Windows screens (such as the Windows Event Viewer), citing them as proof that the computer is significantly damaged. After convincing the caller that their computer is in dire shape, the salesperson would proceed to pitch them security software and tech support services costing up to $500. In October, the FTC requested that a federal court shut down Pairsys, Inc, a company that was cold-calling potential victims (or luring them to call with deceptive ads) and then masquerading as representatives of Microsoft or Facebook. In a manner similar to those used by OMG Tech Help, Netcom3 and their affiliates, Pairsys would strong-arm the consumer into allowing remote access to their PC and then use benign Windows screens to “prove” infection and then sell unnecessary repairs. The director of the FTC’s Bureau of Consumer Protection, Jessica Rich, stated in the press release that, “these operations prey on consumers’ lack of technical knowledge with deceptive pitches and high-pressure tactics to sell useless software and services…” Seniors are particularly sought after by these scam outfits. 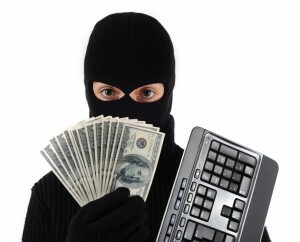 How do you ensure that you aren’t swindled by crooks posing as computer repair technicians? First, only install software from trusted sources. This can include a computer repair company with which you have established a relationship, or those applications recommended by reputable technology information sites like www.cnet.com or www.pcworld.com. Some good free antivirus options are Avast Free Antivirus 2015 and AVG AntiVirus Free 2015. Don’t download anything that you stumble upon by way of an advertisement (banner ad, solicitation email, etc.) or through a pop up on your computer, even if it appears to be a warning of infection from Microsoft. Don’t assume that an ad you see on a reputable website is legitimate: most sites outsource their ad sales and have no affiliation whatsoever with those companies that purchase banner ads or pop-up space on their site. Remote repair is rapidly becoming the most common method of fixing computer issues because it’s fast and can be done over the internet so you don’t have to take your computer into a shop or have a technician come to your home. But before you hand over your credit card and allow a stranger remote access to your computer, research the person or company that you’re thinking of hiring. While a personal recommendation from a friend or family member that had a good experience can be invaluable, when you don’t know who to call start by using online review sites such as Yelp or review Google’s user ratings for computer repair companies that service your area. Once you’ve identified a company or two, type their name into your favorite search engine. Check out their website and see if there are any widely held complaints. Keep in mind that every long-standing company is likely to have one or two extremely vocal disgruntled customers – you’re looking for a trend of people reporting heavy handed sales, bait and switch tactics or feeling taken advantage of. For more computer-security tips, see the Federal Trade Commission’s OnguardOnline website. This article was written by ANDREA ELDRIDGE from Business2Community and was legally licensed through the NewsCred publisher network.